Charming mountain home in Colorado Mountain Estates. This home sits on a half acre corner lot and has an oversize detached two car garage with a workshop inside. 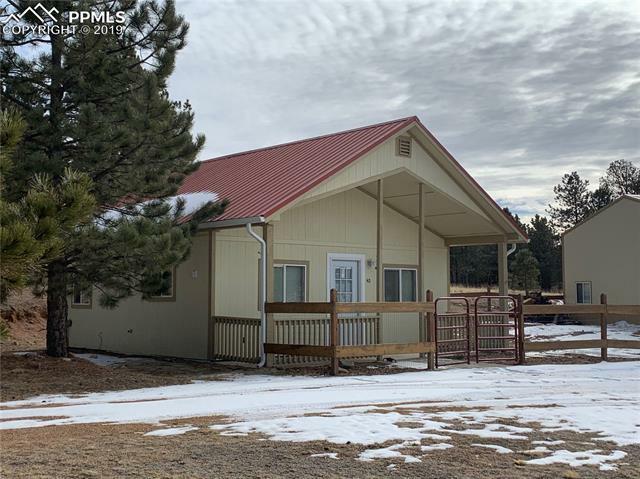 The house features an open floor plan with vaulted ceilings, full kitchen with ceramic flooring, a wood burning stove in the living room, one bathroom and two very functional bedrooms.